evaluated beginning October 15. Early applications are encouraged. If you have questions about any of the information regarding applying to our programs, please send an email to englgrad@iastate.edu. Current ISU graduate students or those who have received a graduate degree at ISU should email englgrad@iastate.edu for special instructions. Do not complete the ISU Admissions application form or pay the application fee again. All application documents must be uploaded into the ISU application system no later than the appropriate deadline above to ensure maximum consideration for admission, as well as available support (assistantships, scholarships, fellowships). Early applications are encouraged. Applications are evaluated as they are received (beginning October 15). If you submit a complete application earlier than the deadline, you may receive notice of an admission decision earlier. Only complete applications will be evaluated. We strongly recommend early submission of at least the online application form and application fee, so that email notifications by the system are sent to references prior to the deadline. This helps ensure that recommendation letters are received by the deadline. After submitting the online form, the form itself cannot be edited, but applicants can return to their application account and upload other required documents. The deadline represents the endpoint in the application process (i.e., the completion of the application file) rather than the beginning. All materials should be submitted by the deadline. In addition to the preferred and required minimum criteria provided below (GPA, GRE scores, TOEFL/IELTS/PTE scores), applicants are evaluated on factors such as performance on writing samples, quality of the statement of purpose and personal goals, letters of recommendation, and program match. Each of these influences the applicant’s admission status. Conditional admission is not available and not offered to nonnative speakers of English who do not meet the department’s stated TOEFL, IELTS, or PTE required minimum score at time of application (see English Proficiency Examination below). Application documents must be uploaded selecting the appropriate category in order for review committees to easily identify different types of documents in the online system. The online application form is not actually submitted (and links sent to references) until you click “Save and Submit” and pay the application fee. Official scores are required from all applicants unless they meet one of the exceptions noted below (see *) and must be reported directly to ISU by the testing agency in order to be considered official. If official scores cannot be sent at the time of application (more than five years have elapsed since the test date), the exam must be retaken. Please record scores on Page 2 of the online application form (leave blank if not available yet) and upload a copy of scores into your application account. Register to take the exam or request score reports at www.ets.org. 1) Applicants to the English M.A. (Literature; Literature and the Teaching of Reading) who are not requesting teaching assistantship support are not required to submit GRE scores. 2) Applicants to the TESL/AL M.A. who are nonnative speakers of English and not requesting consideration for assistantships, fellowships, or scholarships are not required to submit GRE scores. Required even though English proficiency examination scores may not required. An audio or video is to be sent electronically as an email attachment to englgrad@iastate.edu by the deadline (not uploadable into your application account with other documents). This speaking sample should include 3-5 minutes of extemporaneous speaking. You might begin by talking informally about your educational background and your reasons for pursuing graduate study. Scanned transcripts must be official ones issued by the institution(s) where you earned (or will earn) degrees for all undergraduate and graduate work (if applicable). Please download the ISU Admissions Office instructions document above under Type of Applicant (U.S. or international) and contact the ISU Admissions Office if you have transcript questions. References are to be submitted electronically using the electronic letter of recommendation option in the online application system. These letters should be from persons qualified to comment on your preparation for graduate study in the major to which you are applying. If applying for a teaching assistantship, at least one of your references should comment on your teaching experience and abilities or on your potential to teach. If a recommender does not wish to submit an online LOR, you must download the Letter of Recommendation form, complete the appropriate sections, and send the form to your recommender. You must include our email address (englgrad@iastate.edu) or postal address (Department of English, Graduate Studies Program, 227 Ross Hall, Iowa State University, Ames, Iowa 50011-1201 USA) for the recommender to submit their recommendation directly to the program. The use of dossier services, such as Interfolio, is also acceptable for transmitting letters by having them sent directly to englgrad@iastate.edu. Include educational background, awards, accomplishments, and teaching/tutoring experience, if applicable. Please refer to the individual program specifications below. If seeking a teaching assistantship, describe your relevant experience. MA English: Statement of purpose of up to 500 words included on Page 4 of the online application form that explains your preparation for graduate study, career goals and research interests, and specifically why you want to study at Iowa State. 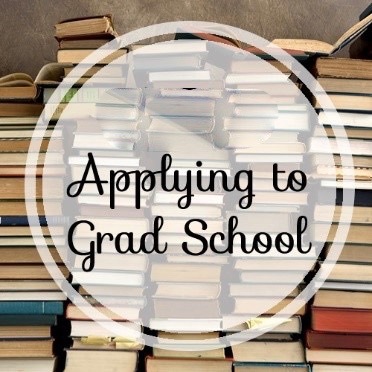 We are particularly interested in knowing how your abilities, experiences, awards, and achievements relate to and demonstrate your ability to pursue graduate work in literature. MA RCPC and MA TESL/AL: 1-3 double-spaced pages (leave application field blank). Please state preparation for graduate study, including reasons and objectives for study in the major to which you are seeking admission. PHD ALT and RPC: 1-3 double-spaced pages (leave application field blank). Please state preparation for graduate study, including reasons and objectives for study in the doctoral program to which you are seeking admission. If seeking a teaching assistantship, elaborate on your relevant experience. Applicants for the Hogrefe Fellowship in Creative Writing must incorporate a statement indicating their wish to be considered for the fellowship and explaining what they hope to achieve in their work as the Hogrefe Fellow. Submit writing samples according to these program specifications and upload documents into your application account. All writing samples are to be double-spaced. MA English, RCPC, and TESL/AL: Expository writing sample (8-20 double-spaced pages) demonstrating critical analysis and research skills in the intended major. Applicants typically submit an essay they produced for an undergraduate or graduate course in English or a related field. PhD ALT and RPC: Writing sample demonstrating critical analysis and research skills with cover sheet contextualizing the document. Applicants may include two documents totaling a maximum of 35 pages, but at least one document must demonstrate critical analysis and research skills. Creative writing sample of no more than 25 pages of prose (double-spaced) or 15 pages of poetry (may use 1.15 spacing) demonstrating exemplary ability in one genre; we ask that you declare a primary genre, although once admitted, students will not be restricted to working in one genre. Expository prose writing sample (5-10 pages double-spaced) displaying your command of scholarly research and accepted grammatical rules for written English. Applicants usually submit a scholarly research essay written for an undergraduate class or graduate course in English demonstrating critical and research skills. Applicants for the Hogrefe Fellowship in Creative Writing might need to upload additional documents into their application account. Applicants to the CWE MFA program: No additional documents are required. A creative writing sample of no more than 25 pages of prose (double-spaced) or 15 pages of poetry (may use 1.15 spacing) demonstrating exemplary ability in one genre. Two writing samples are required: 1] Creative writing sample of no more than 25 pages of prose (double-spaced) or 15 pages of poetry (may use 1.15 spacing) demonstrating exemplary ability in one genre; and 2] Expository prose writing sample (5-10 pages double-spaced) displaying your command of scholarly research and accepted grammatical rules for written English. Applicants usually submit a scholarly research essay written for an undergraduate class or graduate course in English demonstrating critical and research skills.